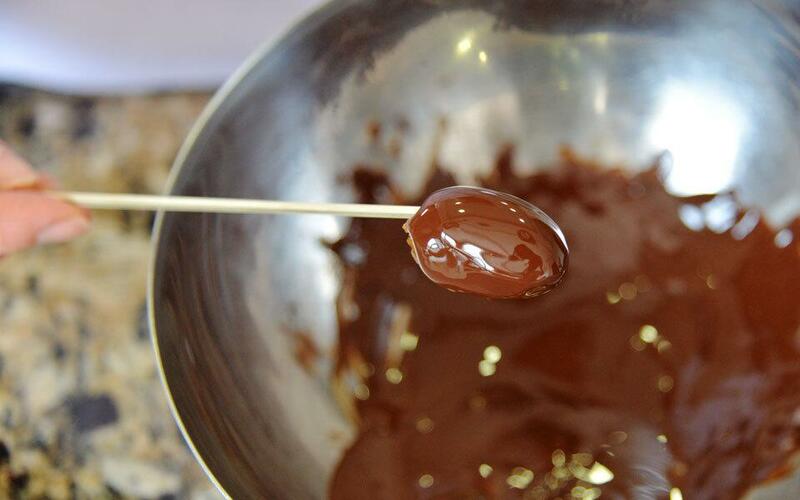 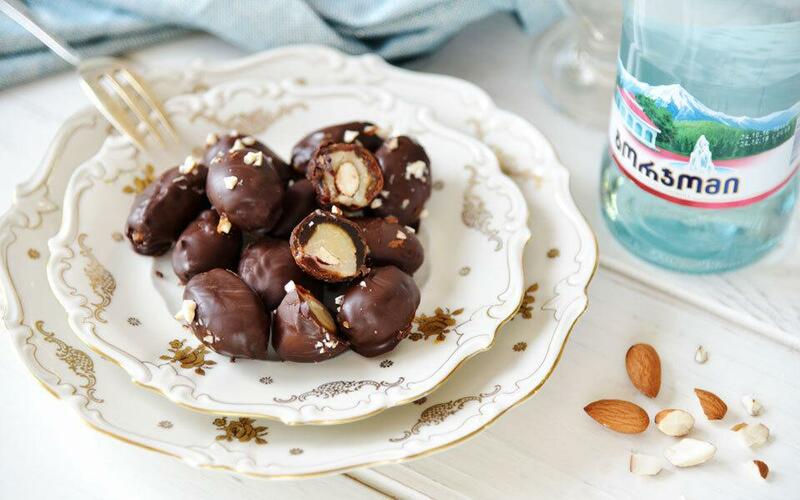 Simple and delicious candy recipe! 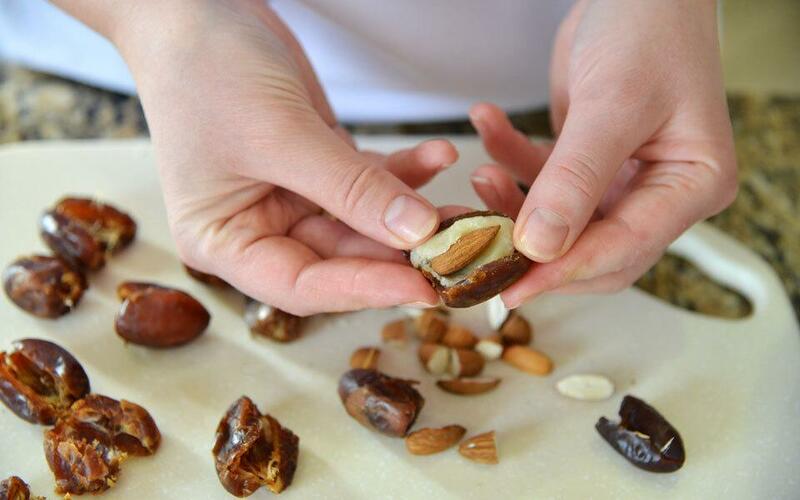 Put a small piece of marzipan and almond in every date palm. 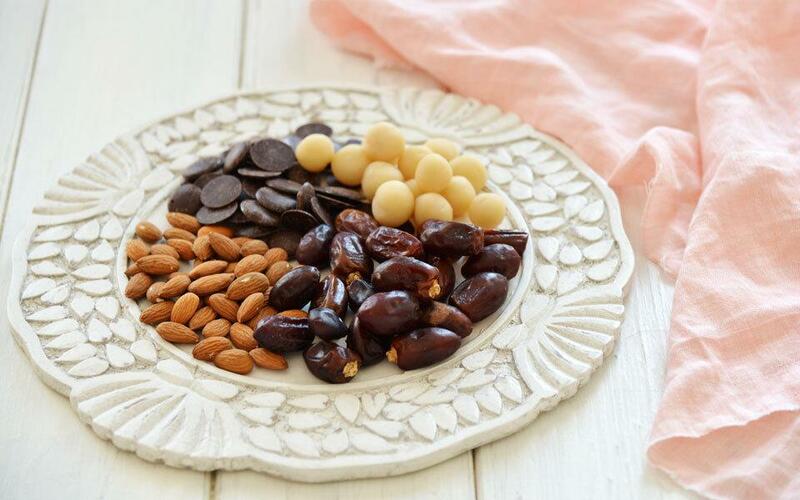 Melt chocolate and put every date palm in it.